We've already had official word that Energizer is bringing no fewer than 26 handsets to the MWC party at the end of February, and thanks to GSMArena we've now got official-looking shots of a handful of them. Energizer - one of the largest battery manufacturers in the world - unveiled the Power Max P16K Pro smartphone at last year's MWC with an insanely large 16,000 mAh battery. The company said it would also launch a foldable phone (like everyone else this year) and a phone with an insane, 18,000mAh battery. 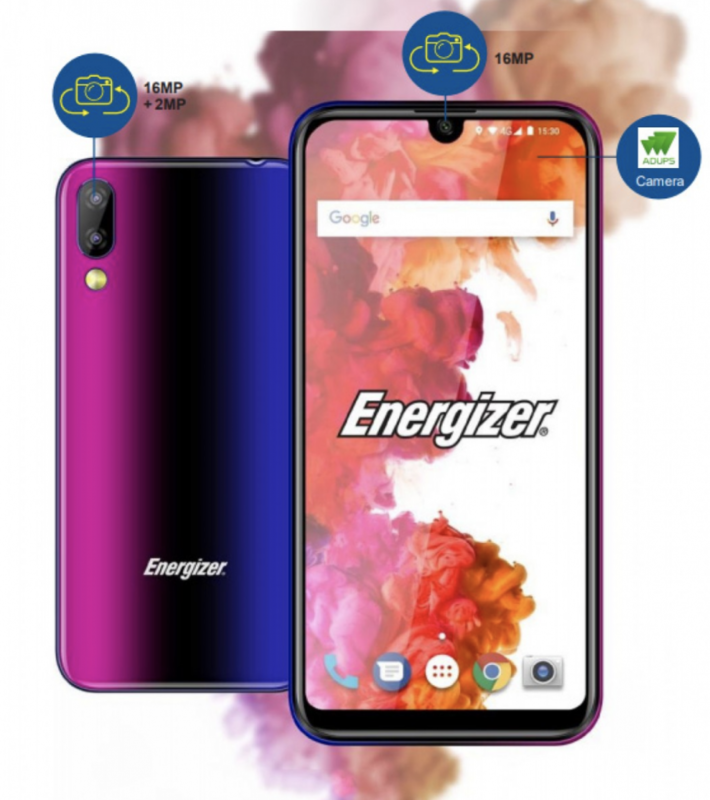 Energizer is claiming to launch 26 new smartphones at MWC 2019 under different series. "The 26 new Energizer Mobile devices on display will show off a range of innovative features, from popup cameras, to professional scanning functionality in their rugged phones, a foldable smartphone, and even an 18,000 mAh mobile battery (the largest capacity battery yet seen in a commercially-available smartphone)", the press release, released by Giz China, revealed. The phones will be sold in four models: Power Max (which will feature the 18,000 mAh battery), Ultimate, Energy, and Hardcase. The Ultimate U620S Pop and U630S Pop, as the names suggest, will come with pop-up selfie cameras. On back is a triple-sensor setup with a 16MP primary camera, 5MP primary camera and a 2MP depth sensor. Instead, the selfie camera is in a motorized pop-up at the top of the smartphone. The Energizer Ultimate U620S Pop features a 6.2-inch display that draws power from a 3,200mAh battery. Energizer Mobile will also launch a trio of notch-toting smartphones later this month viz. the Energizer Ultimate U650S, Energizer Ultimate U620S and the Energizer Ultimate U570S, with all three featuring a teardrop notch with a V-shaped and U-shaped design. 6GB of RAM is inside along with 128GB of storage. They picked off Unitas twice and held the Colts to 11 first downs and 181 total yards. They previously won by 3, 3, 3, 4 and 6 points.